Scooters are available for guided tours only. We do not rent scooters individually. 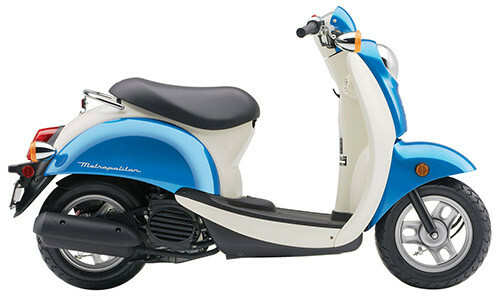 Honda Metropolitan – Honda’s 49cc Metropolitan is a stylish, fun and easy to ride scooter. Honda’s Combined Braking System provides excellent stopping ability and added safety. The Metropolitan has an under-seat storage compartment (22-liter), ideal for carrying cameras, clothing, sunscreen and more. The Metropolitan is a single seat scooter designed to carry passengers up to 250 pounds. 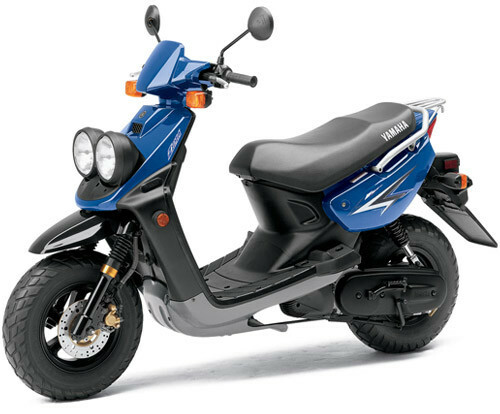 Yamaha Zuma – Yamaha’s 49cc Zuma rugid styling, wider tires and heavier suspension allows for two persons riding together. The Zuma makes for a slower uphill climb on the backroads, but fear not, it will make it, and you’ll love the downhill ride. The under-seat storage compartment is sizable, making it ideal for carrying those extra items you may need on your tour. The Zuma is a double seat scooter used for carrying two passengers with a combined weight up to 315 pounds, or guests exceeding 250 pounds. Guests over 6’4″ may wish to consider a Zuma to allow for more leg room. Scoot Coupe’s 49cc Piaggio engine only adds to the fun of driving one. The unique design, three wheel stability and integrated braking make Scoot Coupe a fun and safe choice. The Scoot Coupe allows for two passengers to ride side by side while experiencing the thrill of the open road. 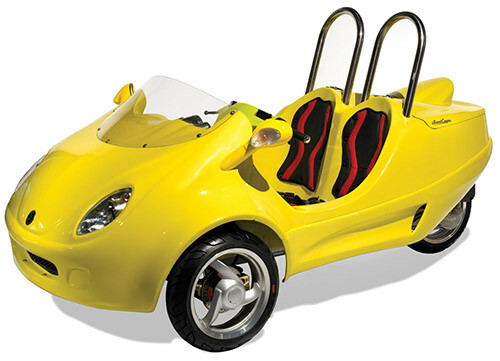 The Scoot Coupe is sure to bring “miles of smiles” and lots of curious looks from onlookers. Storage on the Scoot Coupe is varied, ranging from small trunk to glovebox. The Scoot Coupe is ideal for guests looking to experience scootering in a whole new way, or those looking for more stability than a traditional two wheel scooter. Scoot Coupe offers a combined weight capacity of 350 pounds. Guests over 6’4” may wish to consider a Zuma to allow for more leg room.